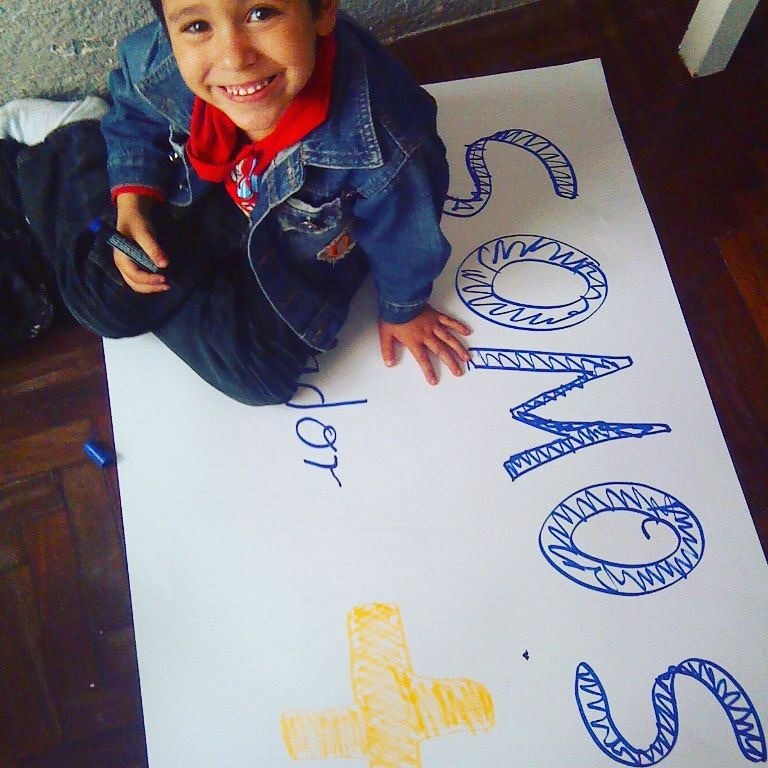 Eliecer Avila, DATE — To offer a comprehensive summary of the work realized by the Somos+ movement in 2015, we would need the pages of a book. Thus, I will only try, in a strong exercise of memory, to highlight some details and successes of our recent history that characterize the performance and demonstrate the character of our members and leaders at this stage. Earlier this year, we agreed that for us this would be “the founding year.” Then we adjusted our objectives to consolidate a small effective time of competent and committed people to work in a disinterested way to promote the ideas that gave birth to our organization. To achieve this, we knew it was necessary to count on information media that was read and respected by a great number of Cubans in and outside Cuba, so that they themselves would become to bearers and diffusers of our message. Only then could we make ourselves known and reach all corners of the country and the world. It was extremely difficult to find the human capital to form teams of editors, writers, filmmakers, translators, in short people with the knowlege and will to work for Cuba, for many hours, through the nights and Sundays. Unlike so many efforts with economic compensation, it was only the immense and difficult to explain pleasure that one experiences when one does well with their own hands. If there is something that we are proud of today, it is having found these exceptional people that we seek. Men and women for whom there are sacrad, pure and honorable things, that cannot be paid for with any money: the friendship that unites us, the love that we feel for Cuba and its people, the immense commitment we have to the construction of its future. This special mix of empathy, boundless dedication and respect spontaneously provokes a state of well-being within a work environment that relieves the tensions of the most stressful moments that we have had to go through. On the other hand, our team won the sympathy of hundreds of people who, although they are not members of the movement, offered us their collaboration and affections, for which we are infinitely grateful. Without such deep and sincere cohesion among key people, or what I internally call “team zero,” it would have been difficult to achieve what has been achieved and to survive and exist today. So I want to thank, without mentioning names, inside and outside Cuba, our essential supporters, those who always, against all odds, never fail us, not for a second, upholding the flag of the movement, a force of willpower, confidence and loyalty to us. Today our website is a reality, stable and constantly improving, a space for our members and collaborators to share ideas, express themselves and learn. The 210 posts published during the year have been read in 161 countries, and shared on social networks thousands of times. The Sunday talks were also very interesting, where several specialists and people with interesting projects and ideas presented them in frank and free debate with everyone who wanted to participating. Debate also characterized the meetings of the membership with the leadership of the movement, where we periodically collected opinions, doubts and concerns that greatly helped to improve our internal procedures and to sharpen our positions on various issues. The use of advance technological tools was a constant, as an alternative to overcome distances, time schedules and other obstacles that make communication difficult. The advance of the clubs was also notable, with Florida and Ecuador as the most active sites. The campaigns in support of the several activists unjustly imprisoned in Cuba, the coverage of the visits by the Pope and John Kerry, and other important moments, demanded a lot from us and also provided us with valuable experiences. The videos were undoubtedly the strongest and most effective communication methods, and a lot of them involved a good number of people; within the island the DVD option remains the best source of information for families. With respect purely to the interior of the country, we held three National Councils and about 20 meetins of different types and purposes, with the participation of representatives from several provinces. We have put into practice our own style of meetings, where we combine political programs with cultural or sporting activities according to our modest abilities. Mid-year we inaugurated a Civic Club we call Channel-Cafe, where various speakers present extending alliances with other organizations, particularly the Independent Law Associaiton whose president and founder, attorney Wilfredo Vallin, we thank for his masterful teachings. Within the Provinces the work especially in Matanzas and Las Tunas stands out, where we have also consolidated good teams. To the growing interest among many professionals and people trained to know and be part of the movement, the repressive arm of the government reacted this year with the violation of our right to mobility within the cuntry, impeding, on three occasions, our ability to hold meetings in different provinces. We also suffered temporary detentions, forced relocations, threats and intimidation to many of our members and their families. This caused is to lose some members who could not resist with State Security strangling them, but it consolidated the position and commitment of the majority. The same effect was caused, especially outside Cuba, but the malicious actions of two or three “infiltrated members,” that is people who are planted in the movement for the sole purpose of causing problems, conflicts and confusion among key members, when more unity and strength is needed. These people tried to exercise a subtle and poisonous influence on others healthily unprepared, or demonstrated their manifest inability to engage with the team with respect and tolerance for others. Neither strategy, within Cuba or outside, worked. On the contrary, every tear of pain caused by disappointment in someone made us stronger, prepared us to confront in the future the large scale vileness we know is going to end until the system of dark powers we are fighting disappears. Materailly and financially we were stable in 2015, but we are still far from achieving the resources we need to deploy major important initiatives that require greater financial support to come to fruition. We significanly improved our meeting place, acquiring 20 chairs and a large table. We recharged the two main cellphones in five deals from ETECSA and got some 160 hours of internet access. All this with our own funds, coming from the monthly support of our membership. We were also able to demonstrate that with our own talent the movement can collect additional funds. The International Convention was an experimental success in this regard. The event not only demonstrated that we can gain the conscious support of many Cuban notables and workers, but also contributed to strengthening out alliance with artists, intellectuals and leaders of other organizations, etc. Experience acquired in the preparations for large events was also very valuable and will help us greatly in the future. Especially in the next Naitonal Convention. For 2016 we intend to meet even greater challenges. This coming year for Somos+ we are calling “the year of consolidation.” We are applying the knowledge gained in the founding stage to exercise stronger and more influential political actions, elevating the competitiveness of our members and leaders, as well as our visibility and national and international standing. This strategic objective will experience a big boost with the founding of our Academy for the study of Political Science. With this approach, we are confident this coming year of having the most competent and strong team (both in ideas and the skills to defend them) within the Cuban political opposition that aspires to compete for the leadership of our society. Now we have to continue, with much more consistency and professionalism, conquering step by step what we think is the most valuable treasure: the trust and respect of our people. People of whom we are part and for whom we will never stop fighting. My best hug to everyone.